Product code: 470 Categories: Sold Items, Sold earrings. 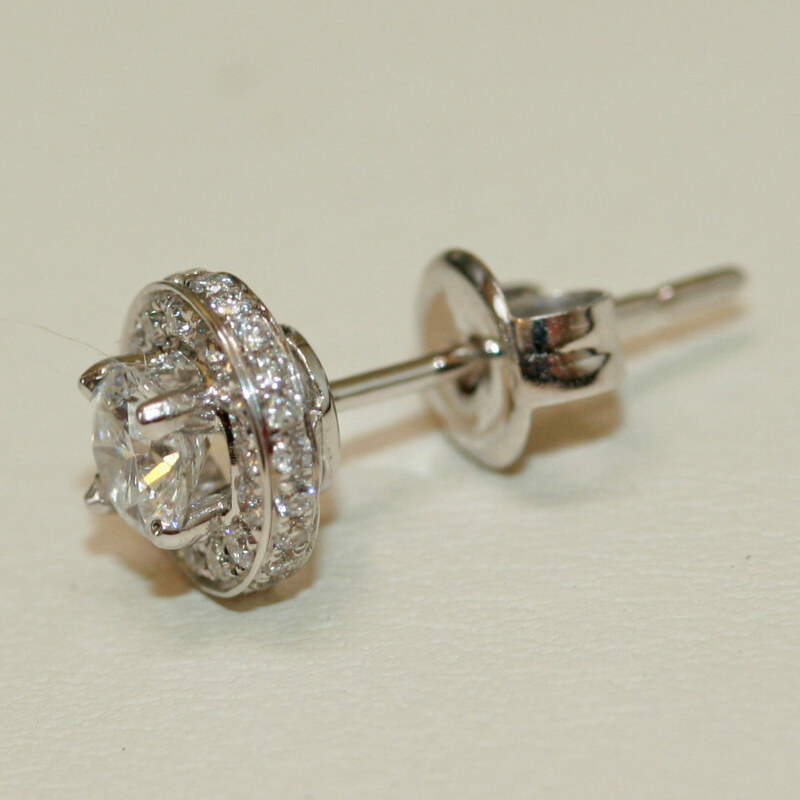 Here are a perfect pair of diamond earrings for that someone special. Set with 1 round brilliant cut diamond, surrounded by a further 13, it has been further enhanced by a row of brilliant cut diamonds on the side to make it all that more special. The total weight of diamonds is 0.72cts, and set with post and butterfly fittings, they can so easily be worn at work, or with your hair pulled up, stand out at night.